Book an appointment for mobile detailing in Vancouver or Richmond. We’ll inspect your vehicle and make recommendations. 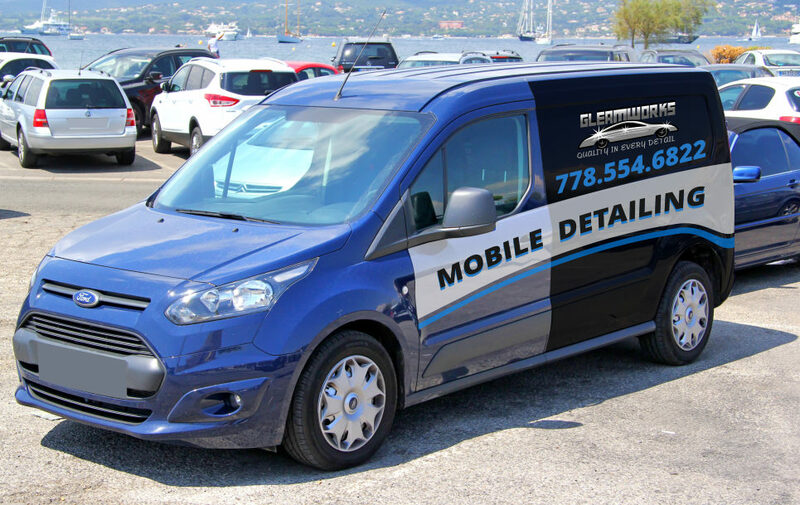 For those who want Gleamworks premium mobile detailing services but want to save the hassle of bringing your vehicle into our shop, consider our mobile detailing service. We come to you…wherever you are! We provide mobile detailing in Vancouver and Richmond, BC. We bring everything required to perform full exterior and interior detailing on any vehicle. 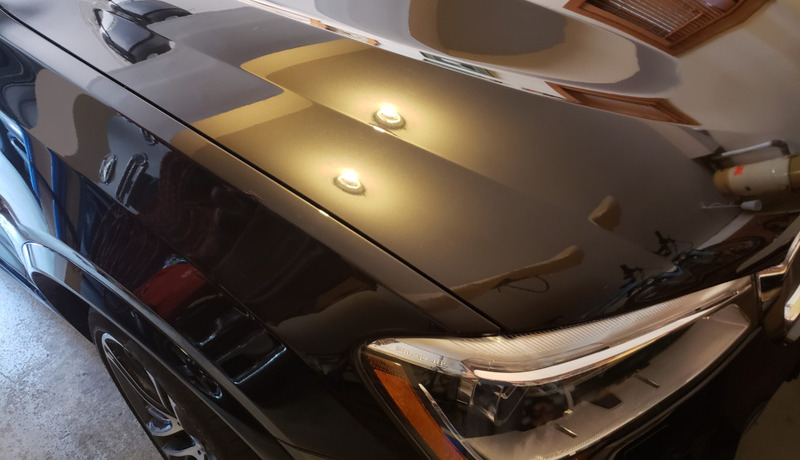 In addition to detailing, in some cases we can also install Opti-Coat ceramic coating. Contact us for details. 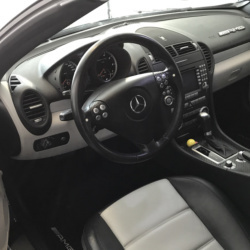 Get the same great interior and exterior detailing services that you’d get if you brought your vehicle into our shop. Interior vacuuming, detailing and coating. Opti-Coat Pro ceramic coating or quick ceramic coating. 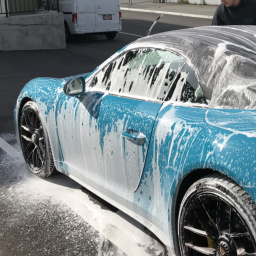 We wash your car with No Rinse™ Wash & Shine - a technically advanced car shampoo that disslolves dirt and oils, contains no harmful chemicals and doesn't leave a residue. We vaccum and clean all upholstery and treat fabric, leather, vinyl and plastic with a protective coating that both cleans and protects the surface. ``Cut polishing`` involves polishing the vehicle's surface with compounding containing microscopic abrasives. We polish superficial and moderate depth scratches, hazing and swirl marks. We finish polish your vehicle. Every square inch of its surface is polished with Optimum Hyper Polish, removing remaining micro-sratches, hazing and fine particles. After polishing, Optimum Hyper Polish is applied, resulting in a mirror-like protective finish. How much does mobile detailing cost? View our auto detailing pricing table . View Opti-Coat ceramic coating pricing table. I live in an apartment. Can you provide mobile detailing? In some cases, we are able to accommodate apartment visits provided there is available space (underground parkade or exterior parking spots) and access to water. Can your mobile detailing service work in my driveway or garage? We can almost always provide mobile detailing at your house. We can work on the street, back alley, driveway, parking spot and sometimes in a car garage provided there is enough room to work. How long will mobile detailing take? 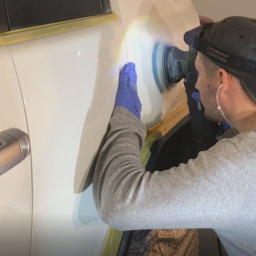 Our Auto Detailing Standard package takes a half day to a full day, depending upon whether you purchase additional services such as extra cuts of compounding or ceramic coating. Can you do same-day service? We don’t generally provide same-day mobile car detailing services. However on rare and special occasions, our expert team can make emergency appointments to accommodate you. Under normal circumstances, for all mobile car detailing appointments we require at least several days notice. What kind of vehicles can your mobile detailing service handle? 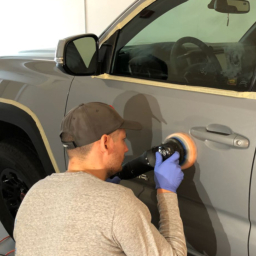 Our mobile detailing service can handle almost any size or type of vehicle, whether a car, truck, SUV, van, sports car or super car or collector vehicle.